Nepal is one of the most diverse and amazing nation situated on the foothills of the lofty Himalayas landlocked between two giant neighboring nations, India and China. A nation with east-west length of about 800 km and average width of about 200 km has the geographical diversity; from the altitude of below 100 meters to the world’s tallest peak of 8848m, Nepal has everything you can imagine in terms of natural diversity. From the plains of terai region in the south, the northern rim of Indo-Gangetic plain, which has the subtropical climate to the hills with temperate climate and to the mountains with alpine vegetation and some desert like arid landscapes, Nepal is a world in itself. Home to about 250 peaks above sea level, Nepal has 8 of the world’s eight-thousanders mountain peaks, including the highest peak of Mount Everest. From one of the world’s deepest gorge of Kaligandaki to the one of the highland settlements in the Himalayan region with arctic zone, the demographic diversity is outstanding. Similarly, the cultural, architectural, religious and bio diversity aptly supports the geographical diversity of this, beautiful nation. Home to more than 100 ethnic groups and 93 different languages or dialects, Nepal has the outstanding diverse cultural and religious ensembles, archeological masterpieces including the remains of medieval civilizations, the Durbar Squares (or Royal courts) and palaces of several dynasties of monarch ruling this tiny nation in the past leaves the visitors amazed. The birthplace of Gautam Buddha (the founder of Buddhism) and home of the only Living Goddess of the world (known as Goddess Kumari), Nepal hosts colorful festivals, unique lifestyle, lively settlements across the nation leading to the existence of such diversities. The land of Honey hunters and legendary Sherpas, the abode of the fierce Gurkha warriors and yet a peace loving nation, Nepal is adored and loved by eminent personalities from around the world. All these make Nepal one of the most unique filming destinations in the world. Filming simply means the act of making a film. Films are the manifestations of cultural, historical or other concepts with or without implicit message, projected to the audience on the basis of artistic skills of the filmmakers. For this artifact to materialize, the filmmakers need proper location that suits the story of the film along with other elements such as the casts and crews, equipments and supporting elements. A powerful method for educating or influencing people, filming exposes the hidden reality to the outer world. The whole of Nepal is an open ‘Film city’. As mentioned earlier Nepal provides a diverse filming location that caters to the diverse need of the filmmakers. From photo shoot in Everest region to filming in Annapurna region and from photography in the Himalayan region to the filming in National parks and wildlife of the Terai plains, Nepal has it all. Due to this a number of Film crews come to Nepal for their film projects that intends to feature the travel destinations, mountaineering and trekking along with other adventurous activities, natural beauty, floral and faunal diversity, cultural symbols and traditions along with the archeological heritages of Nepal. Some of the famous projects like Caravan (an Oscar nominated movie by Erik Valley) has displayed the lifestyle in the Himalayan landscape of Nepal and other movies like Everest has displayed the harsh realities of peak climbing in the Everest region of Nepal. While some Hollywood projects feature the Hindu masterpiece of Pashupatinath Temple, others include the Buddhist shrines of Boudhanath and Swayambhunath Stupas as well as the lifestyle of Honey hunters in the hills of Nepal. Famous institutions like BBC, National geographic channel, Discovery Channel, HBO, NPC, Lonely Planet, Arcturus Motion Pictures and renowned personalities like Michael Palin, David Breasher, Paul Mister and others have worked under different projects with various local supporting agents in Nepal. Filmmaking in Nepal requires completing certain formalities and getting approval from the concerned authorities. 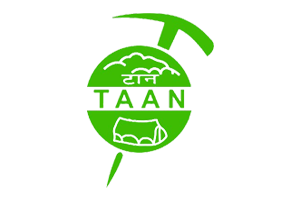 Mountain Tiger Nepal provides all the necessary ‘ground handling’ activities related to the filmmaking in Nepal. 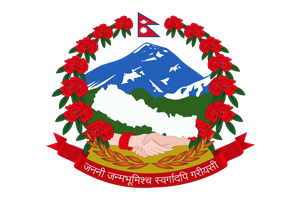 Government in Nepal issues the Film Production Permit upon the receipt of all the necessary documents that allows teams to bring in their filmmaking equipments to Nepal and secure the planned location. To get the permit from the Ministry of Information and Communication, we need the information such as the synopsis of filming story, bio data and passport copies of crew members, equipment list with its values, Consent of concerned organizations and Authorization letter appointing a local representative of the producer. Mountain Tiger Nepal shall help the clients with their filmmaking projects in Nepal including the following so as to ensure a smooth filmmaking experience in Nepal. We are keen to support all such filming projects to be conducted in Nepal so as to promote this beautiful nation for the purpose of all kind of filmmaking from around the world. Join us to get the best out of the filmmaking project you aspire to do in this enchanting Himalayan nation.